Got a few more codes from friends! 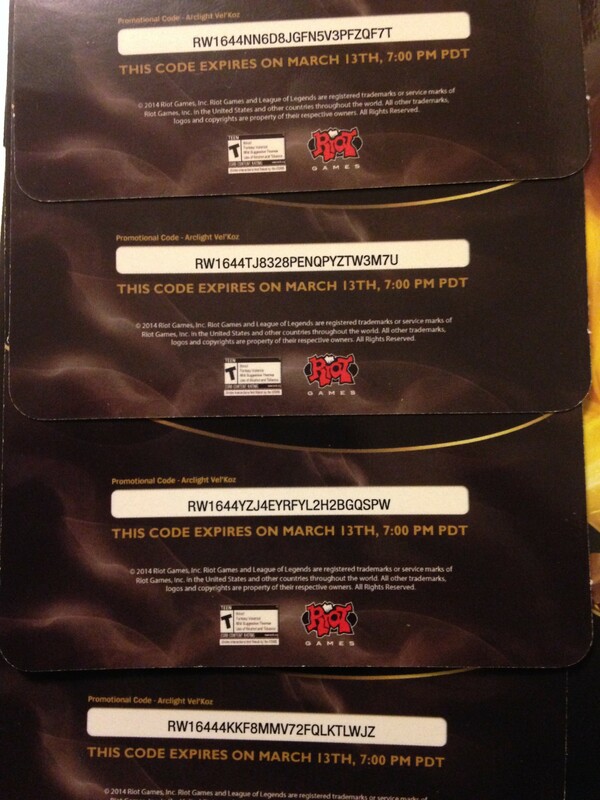 Just in case you don’t know, all skin codes that Riot gives out can be used once on every server. That means like 10 uses per code! I have no Idea what servers these were used on already but I’m positive there are some uses left somewhere. I got sick of copying the code from the pictures and thought hey, you guys can do that yourselves right? Thank you!!! But i have a question. Skin given forever or him what that time will be taken away through? 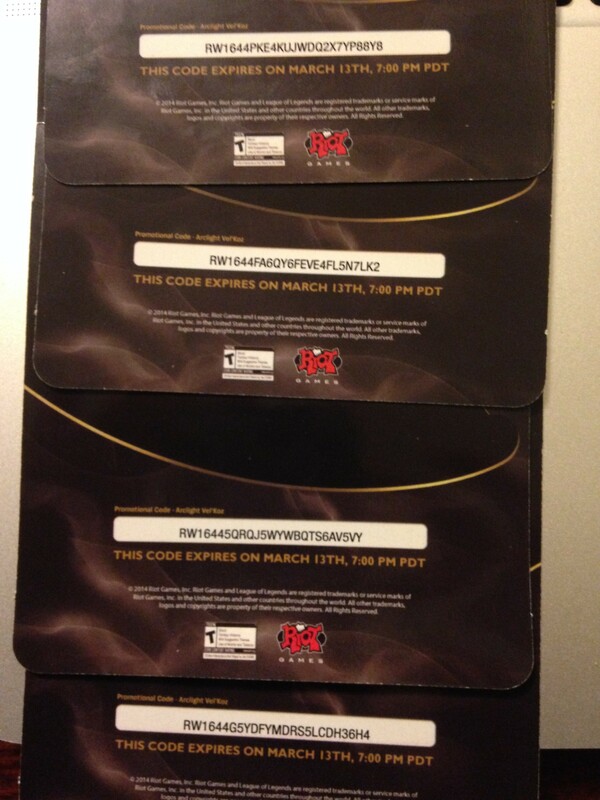 If you got a skin / champ through these codes, it’s your forever! unfortunately, as I now realize you share the code for everyone!